Part of running a website is the struggle to get it in front of couples while they are still doing their wedding planning. There are literally thousands of photographers trying to make it to the top of the searches. Beyond searches, there are hundreds of wedding planning websites that bombard artists with their sales pitch. Wedding directory sites are always trying to get vendors to pay for advertising on their website. The problem is that these advertisements rarely work. Especially for photographers, those sites just do not work for businesses unless they are the BIG sites. That said, directories such as this one do help brides in their wedding planning. As a bride, you can find reviews of vendors and tons of free advice and answers to the questions you might be having. This information can be crazy helpful in a brides wedding planning to avoid costly mistakes! One of those sites that I decide to look at is called Team Wedding. 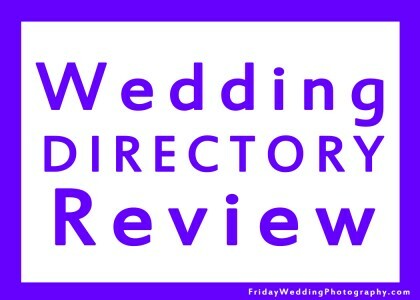 In my quest to review the top wedding directory sites I am thinking and wondering what you want me to give feedback on. The fullness of the vendor profiles - did a vendor fill out the page with photos and descriptions or are they just links to their site? How expensive are they to advertise – the more expensive the advertising the better a site looks. I hope these wedding planning tips help you in your decision of where to spend your time. Given these sites often allow you to upload information to have it all in one organized spot, it’s important that the site be well designed and worth your effort! Closing thoughts: I think the relevance of a site can be determined by how many local vendors are there. And while having a lot of listings wouldn’t necessarily mean it’s a good thing, after all it could be garbage, but having none shows that nobody cares in our area. That won’t be of much use to brides in our area. For other parts of the world it could be a great site thought! Feedback? Thoughts? Click on over to the Connect page and drop me a message!